The Vault Biennale is a festival of stories about luxury beverages. Nothing contained in this website or The Vault Biennale is intended to be an advertisement of any product nor should it be construed or viewed as soliciting the use of or offering any intoxicant to any person accessing the website nor is this website/The Vault Biennale intended to encourage or incite any individual to commit any offence of any law of regulation governing alcohol or intoxicant in your jurisdiction. 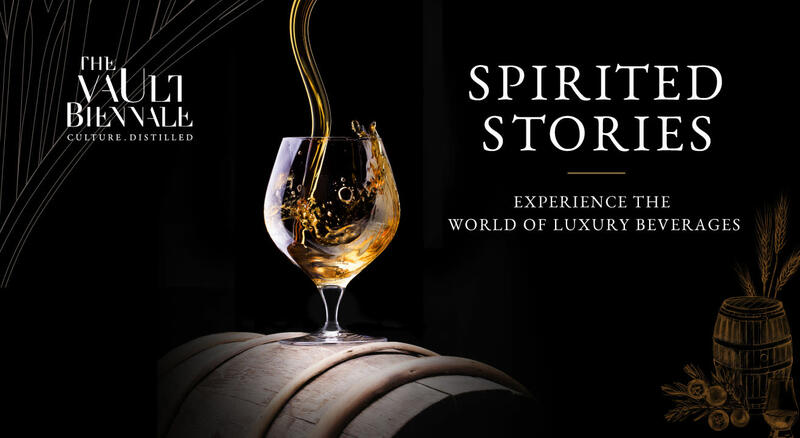 The Vault Biennale, a highly curated fine beverage festival launches its first edition in Mumbai on February 16th & 17th, 2019, with the central theme - `SPIRITED STORIES’. Every handcrafted beverage has a story waiting to be shared – of its history, emotion and culture; of the founder and the distiller; of the terroir; the wood in which it rested; the generations of people who safeguard it; the mixologists who create magic with it; and finally the story of its challenges and successes. The Vault Biennale invites you to come and engage your senses in the four highly curated experiences – Handcrafted & Handpicked. EXPERIENCE – over 40 handcrafted beverages from across the world. DISCOVER – over 15 new expressions for the first time in India. LISTEN – to curated storytellers from the world of distilled craft. INDULGE – With mixologists from the `World’s 50 Best Bars’ who are in India for the first time crafting their signature cocktails; or attend a masterclass with a world-renowned aroma expert who helps `map smells’, breaking down the molecular structure of fine beverages.